Dobriansky, Michael [Михайло Демкович-Добрянський] – journalist, historian, active in community and political affairs; born on 7 November 1905 in the village of Lahodiv (Peremyshliany raion, Lviv oblast, Ukraine; at that time – Peremyshliany county, Austrian Galicia); died on 4 February 2003 in London, England, United Kingdom; buried in Gunnersbury Cemetery, London. After graduating, in 1926, from the Ukrainska akademichna himnaziia secondary school (gymnasium) in Lviv, Dobriansky studied Slavonic philology for two years at the University of Lviv, and then law and political science at the universities of Vienna (incomplete year) and Berlin (three years). In 1921, at the gymnasium, he joined the Plast Ukrainian scouting organisation. A co-founder of the clandestine Union of Ukrainian Nationalist Youth in 1926, in 1928 he joined the mainstream Ukrainian National Democratic Alliance (UNDO) political party. Returning to Lviv after completing his studies, from 1933 to 1939 he worked on the editorial boards of the weekly newspapers Meta and Khrystos nasha syla and the monthly journal Dzvony, all of which were published by the Ukrainian Catholic Union. In 1934-1939 he was also chief secretary of the Union. After the occupation of Galicia by the Soviet Union in the autumn of 1939, he crossed into the German-occupied Sian Region, where he served as mayor of the Radymno district until the spring of 1941. During the German occupation of Galicia, from September 1941 to July 1944 he worked for the Ukrainian Regional Committee (URC) in Lviv, which was transformed in March 1942 into the Lviv Centre of the Krakow-based Ukrainian Central Committee (UCC). He was deputy head and executive director of the URC, and then of the Lviv Centre, and a close adviser of Volodymyr Kubiiovych, head of the UCC. After the Lviv Centre was evacuated to Lubin (Lower Silesia), in July-August 1944 he worked at the Lubin office until the end of January 1945 when he left for Germany. In 1947-1948 he was editor of the journal Problemy, published in Munich. In 1948 he became a member of the Shevchenko Scientific Society, which had been revived in Germany the previous year. In the autumn of 1948 Dobriansky was invited by the Association of Ukrainians in Great Britain to work in London on the editorial team of the Ukrainska Dumka newspaper. He joined the team in April 1949 and subsequently became editor-in-chief. In November of the same year he was removed from this position, but continued to work on the team until the Spring of 1950. In December 1949 he was elected to the financial oversight committee of the International Federation of Free Journalists of Central and Eastern Europe and Baltic and Balkan Countries. From November 1950 to December 1951 he co-edited (with Roman Holian) the independent Soborna Ukraina newspaper which was published in Paris. 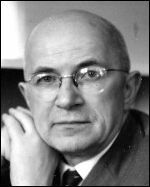 At the beginning of August 1954 Dobriansky began to work in the newly-created Ukrainian section of the US-funded Radio Liberation (renamed Radio Liberty in 1959) in Munich. In 1956 he became head of the Ukrainian section and remained in this post until his retirement in May 1972. From March to November 1951 he was head of the Ukrainian branch of the Transport and General Workers Union in London. From 1952 to 1954 he was a member of the financial oversight committee of the London Office of the Ukrainian National Council Executive Committee. From 1954 to the early 1970s he was a member of the Ukrainian National Council (UNC), initially as a representative of the Ukrainian National State Union (formed in Germany in 1946) and subsequently of the UNDO (revived in 1947 in Western Europe). For several years during this time he was a member of the UNC praesidium. From 1972 he lived permanently in London. In 1976 and 1977 he worked on the documentation of aspects of the life of Metropolitan Andrei Sheptytskyi in connection with the campaign for his beatification. In 1978 he was a co-founder of the London group of the Ukrainian Democratic Movement. He frequently gave presentations at meetings of the Ukrainian Graduate Society in London (1978-1990), and was a member of the Polish-Ukrainian Society in London. He was the author of Ukrainsko-polski stosunky u XIX storichchi (Ukrainian-Polish relations in the 19th century; Munich, 1969), Pototskyi i Bobzhynskyi: Tsisarski namisnyky Halychyny 1903-1913 (Potocki and Bobrzyński: Imperial governors of Galicia 1903-1913; Rome, 1987), Ukraina i Rosiia: Istorychni narysy na temy rosiiskoho imperializmu (Ukraine and Russia: Historical essays on Russian imperialism; Rome, 1989; Lviv-Kraków-Paris, 1993), Yevrei v Ukraini, XI-XVIII stolittia (Jews in Ukraine, 11th to 18th centuries; unpublished); as well as many articles in periodicals such as Ukrainski Visti, Lysty do Pryiateliv, Ukrainskyi samostiinyk, Suchasnist, Nash Holos and Patriiarkhat. He was a bibliophile and built up a private collection (arguably the largest among Ukrainians in the UK) of scholarly and other publications, primarily relating to Ukrainian studies, but covering also general history, political science, culture, philosophy and other subjects. After his death the bulk of this collection was transferred, in accordance with his will, to the library of the Ukrainian Catholic University in Lviv.